audio slideshows | Michael Fuhlhage, Ph.D. The students in Multimedia Journalism voted on one another’s audio slideshows after we did a screening and critique in class last week. Winners got their choice of two versions of Auburn University College of Liberal Arts T-shirts as a reward. Around here, that means either orange on blue or blue on orange. Either’s a great option. Hands down, the students’ favorite was Reese Counts’ piece on a Triumph Motorcycles shop not far from campus on Opelika Road, a place called Skinner’s. As you’ll see, Counts had free range of the place, and access means a world of possibilities when shooting still photos. Kate Seckinger’s piece on Chick-Fil-A took second prize. You can see the rest of the audio slideshows by clicking the links below. Please enjoy! They were produced by creating audio stories in Audacity, shooting, culling and editing photos using Lightroom and Photoshop, and blending the two media forms in Soundslides’ Demo version. Unfortunately, WordPress.com blogs do not work and play well with complex projects that combine folders and files, so we used Google Drive as a host server. It’s not an elegant solution, and most of the students noted that following the upload steps in precisely the right order and some of the subtler aspects of Google Drive made the upload the most challenging part of the assignment. But that’s the way journalism works in the online world in a time when many newspapers are shedding their dependence on paper and ink in favor of browsers and bandwidth: Everybody needs to know a little technology, regardless of whether we believe (or even want to believe) that we’re technology people. Multimedia journalism uses technology in the service of telling a story. As with so much in life, learning to do this using Google Drive had a learning curve. When you first do a thing, it can be frustrating. When processes break down, you have to figure out how to troubleshoot it. That’s what everybody in this course did together (and that includes me) for this assignment. One of the greatest things about blogging on WordPress.com is that it costs nothing unless you want to buy a preminum theme or extra storage space in the cloud. One pitfall is that its architecture is set up to really, really like using single jpegs, tiffs, docs and the like but it doesn’t work with folders full of files. That’s problematic for SoundSlides creators. Solution: Post about your SoundSlide and link to Google Drive. Really, this is a brilliant solution. It’s cheap, it’s easy, and I get to keep all my hair now. As a sample, I’ve posted a quick-and-dirty slideshow I created using SoundSlides to merge photos of magazine covers from a research project about a magazine I’ve come to think of as the antebellum South’s version of The Economist: De Bow’s Review. It’s nothing fancy: just 11 photos of covers of the magazine from just before the Civil War. I shot the photos at the Special Collections and Archives section at Ralph B. Draughon Library at Auburn University last summer for an article that’s just been published this week by American Journalism. 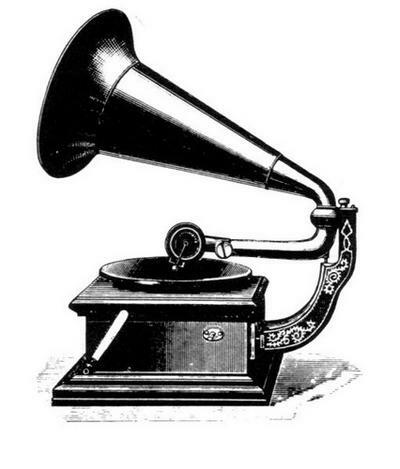 As for the music, a scratchy turn-of-the-twentieth-century recording of the Neapolitan Trio performing Stephen Foster’s “My Old Kentucky Home,” that one’s used under Creative Commons License. I obtained it at Free Music Archive, which is an outstanding resource for historical music that is so old it has passed out of copyright and into the public domain. Word to my students: You can get into big legal trouble if you violate copyright. There are so many who have pirated downloaded music that it’s hard for the recording industry to keep up with all of them, so its default position often seems to be to simply give up. But as a content creator online, you are MUCH more visible to them. As in, when you link to their stuff, it’s like Frodo putting on the One Ring and attracting the gaze of Sauron. So be careful what you use, because you might get a cease-and-desist letter (at best) or a hefty bill (at worst). If you’re interested in Old South journalism history, you might want to give it a look here. It’s titled “Brave Old Spaniards and Indolent Mexicans: J. Ross Browne, Harper’s New Monthly Magazine, and the Social Construction of Off-Whiteness in the 1860s. Just a side note to my brothers and sisters in the world of journalism and mass communication history: Soundslides is not that complicated to master. You could easily record your own narration about your research project to accompany the slides, or you can tuck the information that would go into your narration down into the captions and let the music serve to create a feel for the time period. Yeah, I know. If you’re like me, you have a stack of papers to grade and a research agenda to pursue. But multimedia has power to make what we do accessible to people who might otherwise not pay much attention.